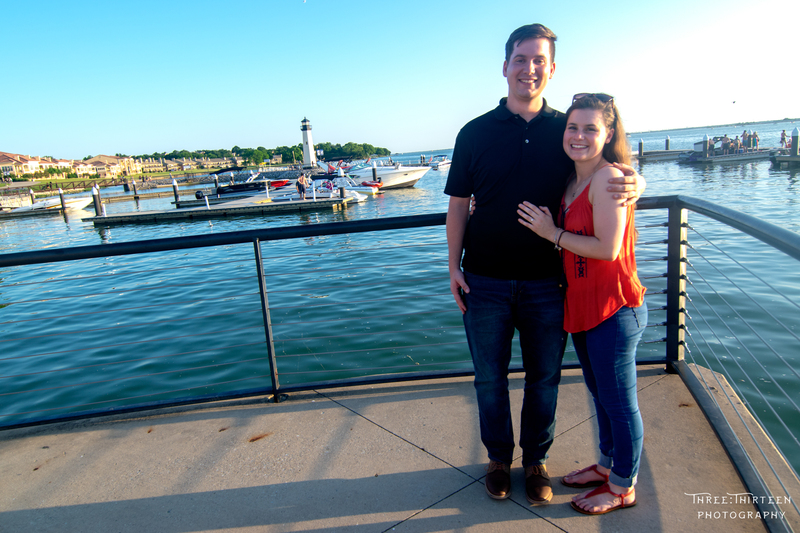 Jason Kelsey knew he wanted to marry his girlfriend, Claire Blankenau. He also knew that he wanted to make a memorable event. With a little planning, a little help, and a lot of love, he created the perfect moment. 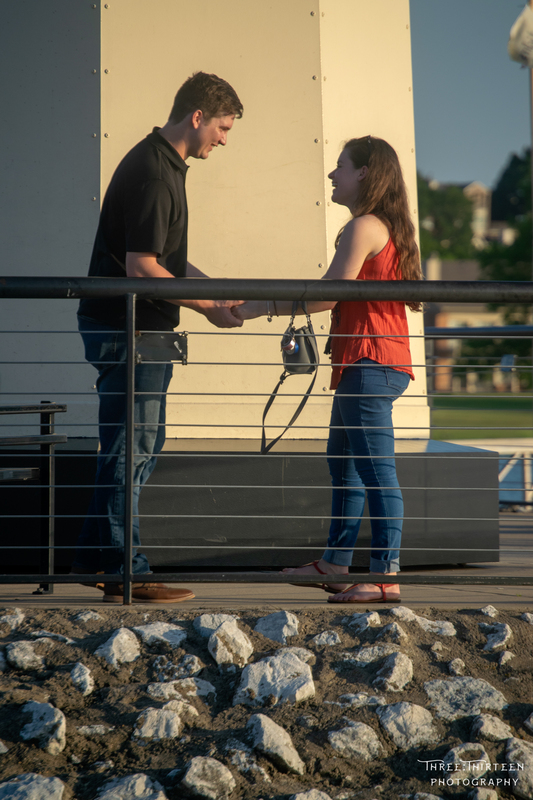 Here is the story of the beginning of their happily ever after at The Harbor Rockwall! Jason and Claire are the classic high school sweetheart love story. Claire moved to Jason’s school in Valley View during middle school, and her brother and Jason became good friends. 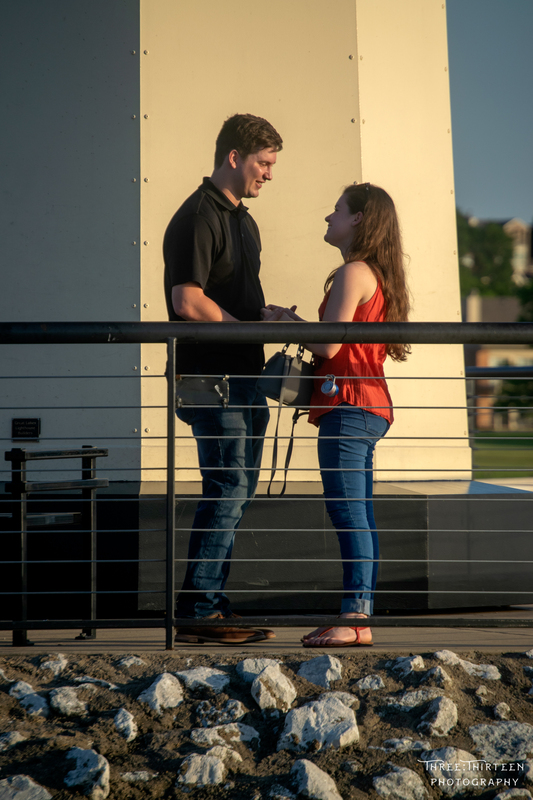 Claire and Jason became more than friends a few years later and started dating at the end of Junior year. During Senior year, they were elected the Homecoming King and Queen! Now, the 23-year-olds both study at TWU in Denton with majors in general studies, business, and criminal justice. Jason will graduate this winter and Claire soon after. 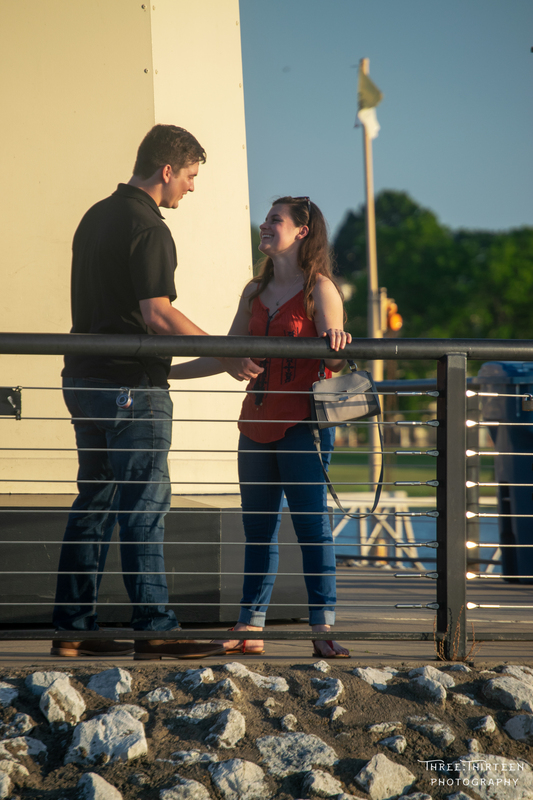 Jason and Claire have been talking about maybe getting engaged recently, and Jason decided to take his opportunity when Claire planned a trip to The Harbor Rockwall for a weekend. 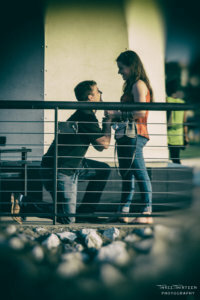 He knew he needed help to create the perfect moment, and luckily he had the right connections! 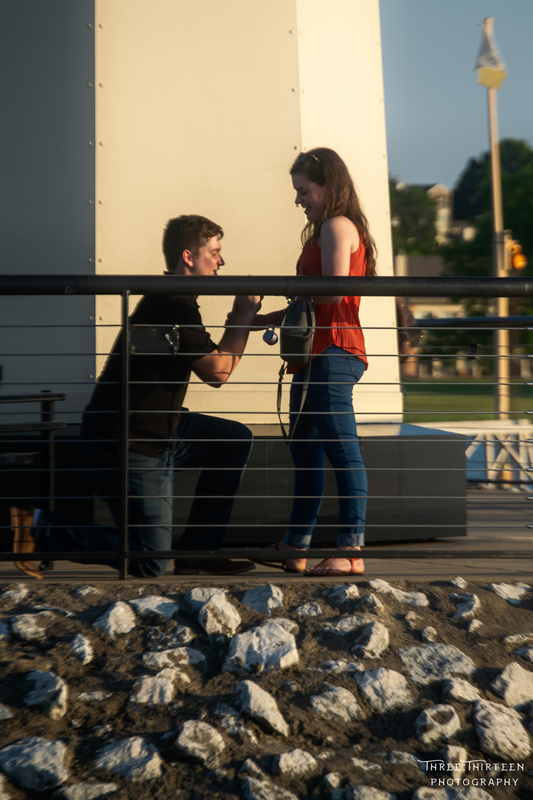 First, he reached out to a friend of his mom’s, Brittany Williams, who owns a photography company in Rockwall called Three:Thirteen Photography. Brittany has known Jason for several years and was more than eager to assist. Together on a group text with Jason’s mom, Julie, she sent him several beautiful options in Rockwall. They decided The Harbor would be perfect! Next, he contacted the Hilton Rockwall. They were very happy to provide strawberries and champagne for the weekend (in secret, of course!). 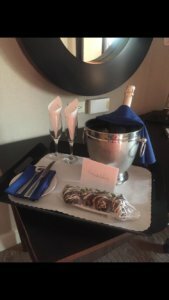 The Hilton Rockwall provided champagne and strawberries to celebrate! Jason and Claire ate dinner at Sideways BBQ (Josh Deaton and crew had no idea what was on his mind!) Jason said BBQ is one of their favorites, but he had no idea Sideways had just opened the week before. Good timing! 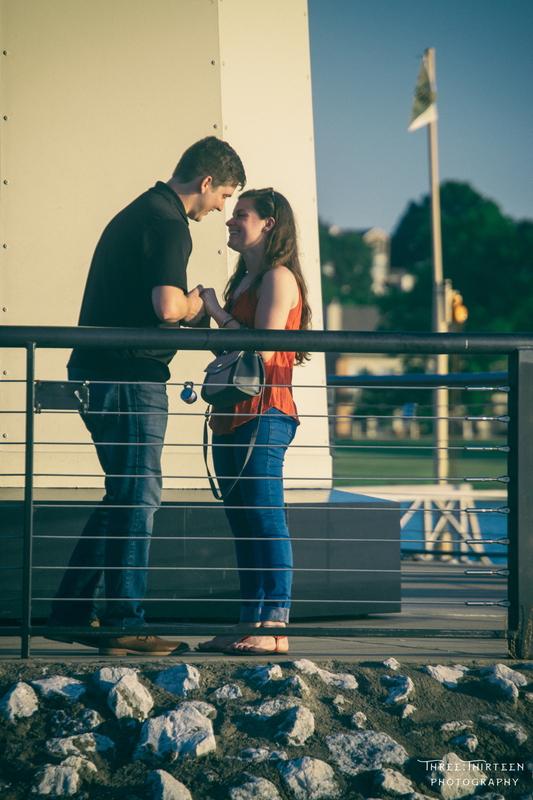 While at dinner, Brittany helped dress up the hotel for the soon-to-be engaged couple. She took the opportunity to capture some beautiful photos as well! Once everything was ready for the happy couple’s celebration, she went back down to the lake to set up the perfect shot. Luckily, Brittany had never met Claire so she was able to stay undercover. Jason and Claire had finished dinner and were relaxing by the lake. Jason realized he wasn’t nervous anymore (a fact that he accidentally said aloud to Claire!). Everything was ready! Jason knew it was time. 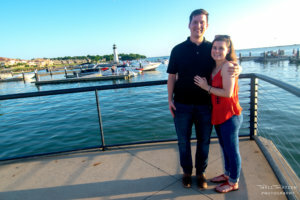 He texted Brittany that he was ready, then stood up and asked his future wife to take a walk with him to the lighthouse. 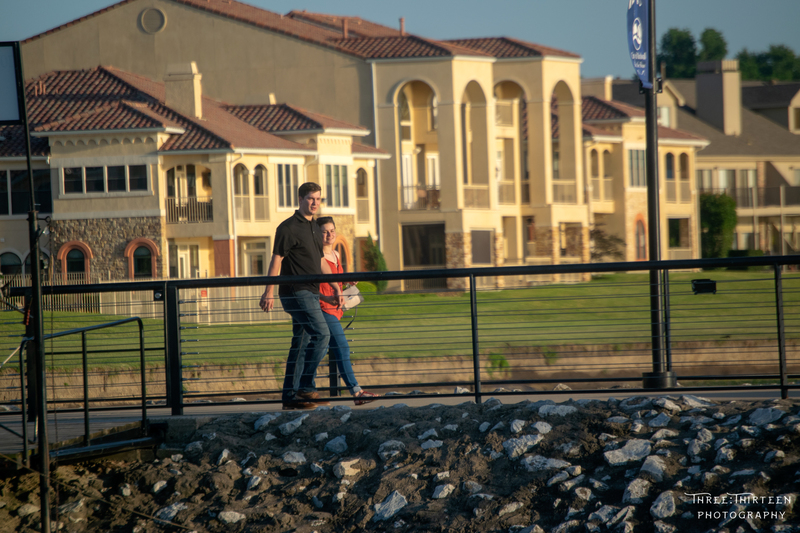 Brittany watched from the docks, shooting the amazing scene. She felt it was such a cool moment, since she had known Jason and his mom for several years. She only wishes she had been close enough to hear what he said! Claire was feeling excited as she walked with Jason. 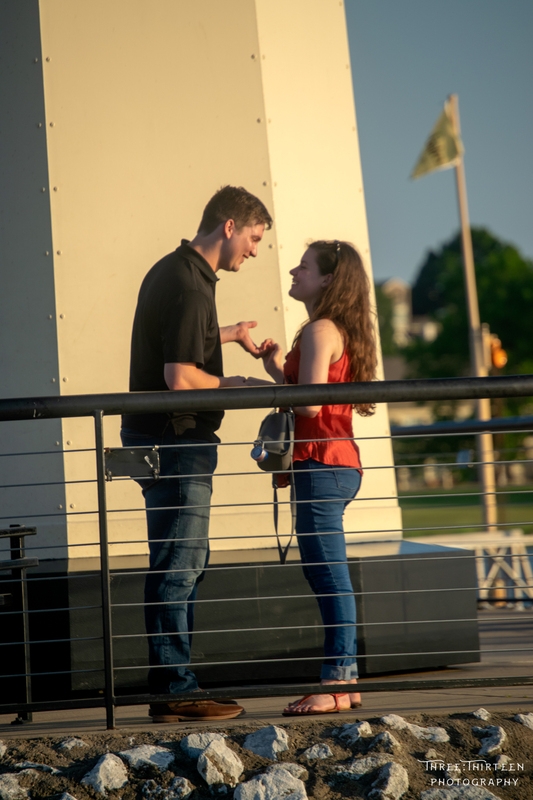 She had a feeling he might propose during their trip, but she wasn’t 100% sure. 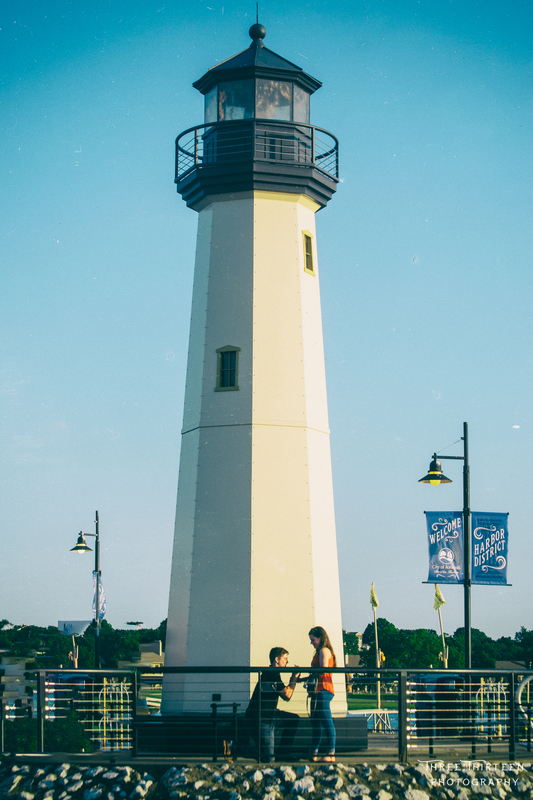 She realized something big was about to happen when Jason walked slightly behind her near the lighthouse. She turned towards him, and he began to share his feelings with her. 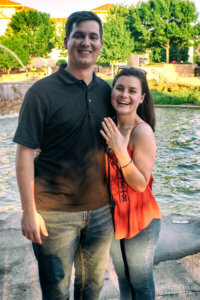 “I was so excited I don’t remember exactly what he said,” Claire said. 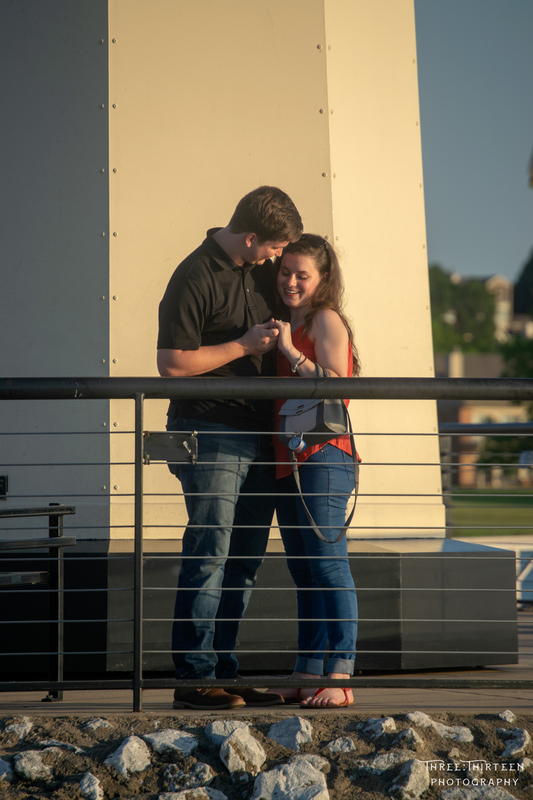 Click through the gallery below to see the entire proposal! 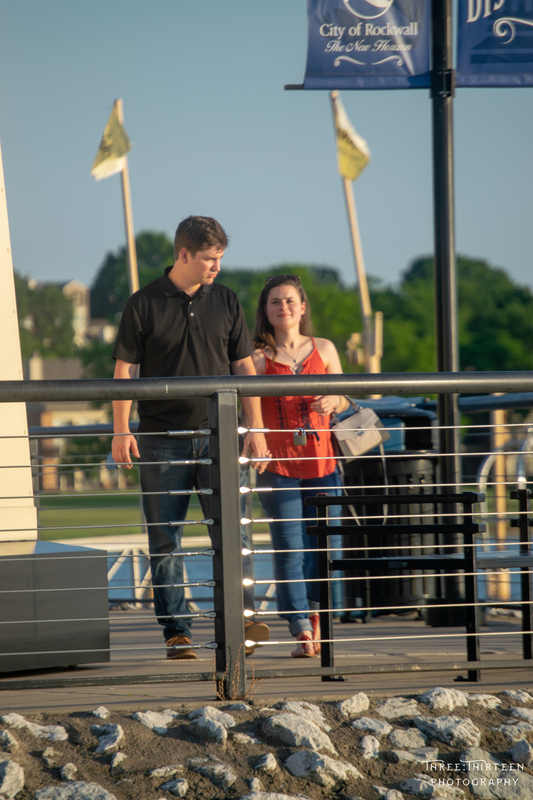 All photos courtesy Brittany Williams, Three:Thirteen Photography.